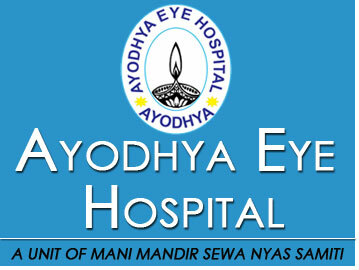 Ayodhya Eye Hospital is equipped with a wide range of ultra modern equipment to diagnose and treat all types of eye diseases. It has a special focus on common problems like allergic infections and simple to complex refractive errors. 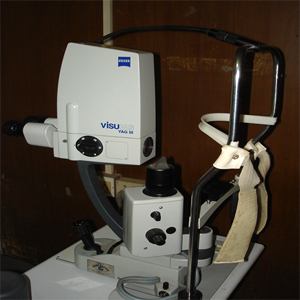 Patients are examined using state-of-art ophthalmic equipments that help in conducting a complete eye examination. The hospital runs several specialty clinics . The department is equipped with the requisite tools for early diagnosis of Glaucoma, a sight threatening disease of the eyes. We treat and follow up of the patients with different types of Glaucoma. This is a fully equipped department to diagnose and manage various disorders such as retinal detachments, diabetic retinopathy, various retinal vascular diseases, age related macular degeneration. The department handles various abnormalities of eyelids such as Entropion, Ectropion, Ptosis, Trauma, Tumors, Cosmetic Eyelid Surgery (Blepharoplasty) and lacrimal naso lacrimal duct disorders. Also the department is the first to acquire laser treatment for nasolacrimal duct obstructions in the state. The department is fully equipped to diagnose and treat common childhood eye diseases such as refractive errors, squint, Amblyopia, congenital cataracts and also retinopathy of prematurity.